From her books to her Anthropologie decor line, "Fixer Upper" star Joanna Gaines is a lifestyle pro. So, naturally, we love that her casual style is easy for us "regular people" to replicate. 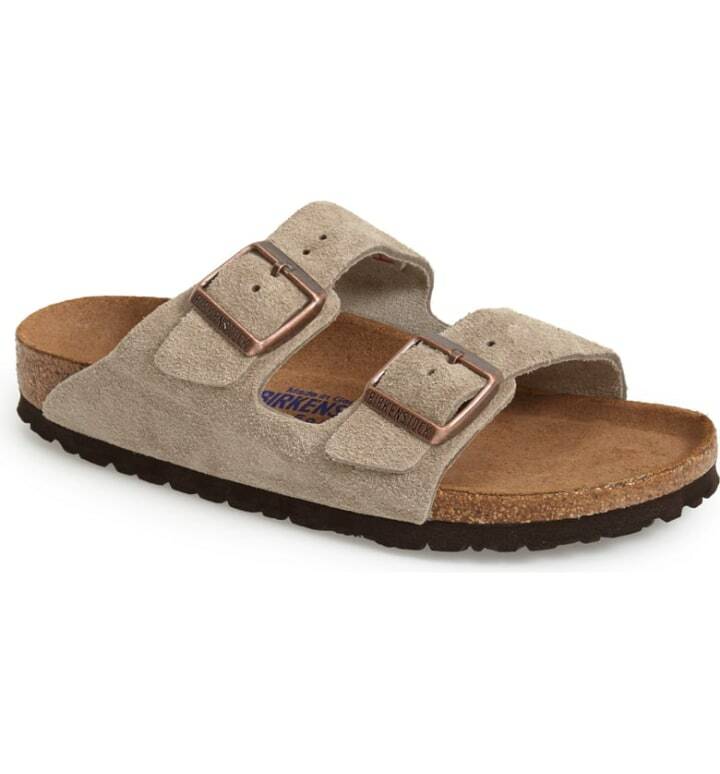 Lately, Gaines has been wearing her suede Birkenstock sandals all over Instagram, People reports. The popular shoe brand is known for being super comfortable. And with the weather warming up, it is the perfect time to grab a pair. The cushioned shoes feature adjustable suede straps on top and they are designed to exercise foot and leg muscles while providing comfort, according to the brand. Gaines most recently sported them in an adorable photo with her son Crew. She has also shown off the taupe sandals various times on Instagram — and each time we are more convinced that we need them. Since they easily slide off and on and come in neutral colors that match everything, they are basically the perfect summer shoe for any busy parent. Plus, the shoe is unisex and also available in kids sizes. Gaines' daughter Emmie even has a pair!